A man from Texas and his dog have a lot to be thankful for this year. 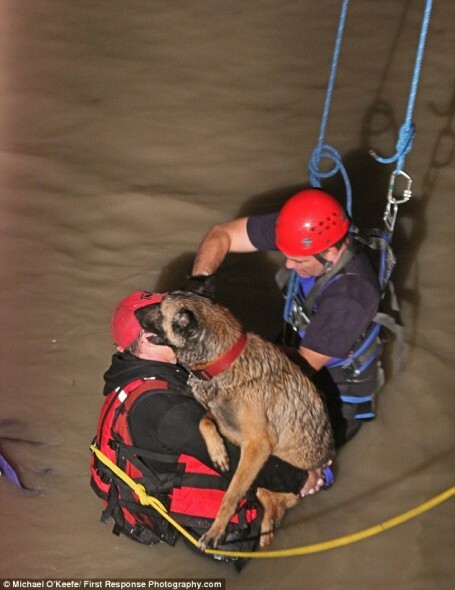 When rising flood waters almost swept him and his dog away, the man called police and waited for rescue. The man wasn’t sure exactly where he and his dog were, but emergency services used his cell phone signal to pinpoint his location. The fire department was then dispatched for a rescue. The firefighters positioned the ladder truck near where the two were stuck and awaiting rescue. 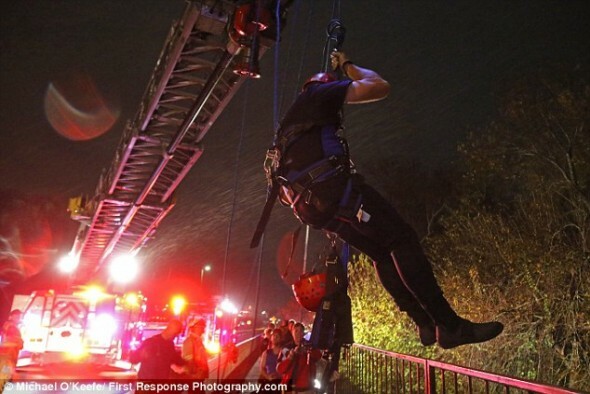 The firefighters used a system of ropes and pulleys attached to the ladder to lower a firefighter to where they were. It was a harrowing rescue to be sure, but the firefighters and first responders did an excellent job rescuing the man and his dog. 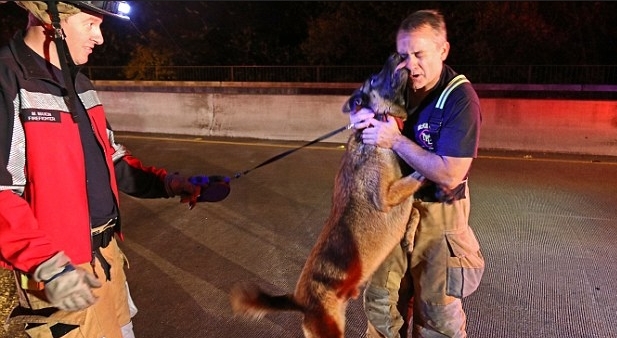 So, how does a thankful dog show his appreciation for a daring rescue? 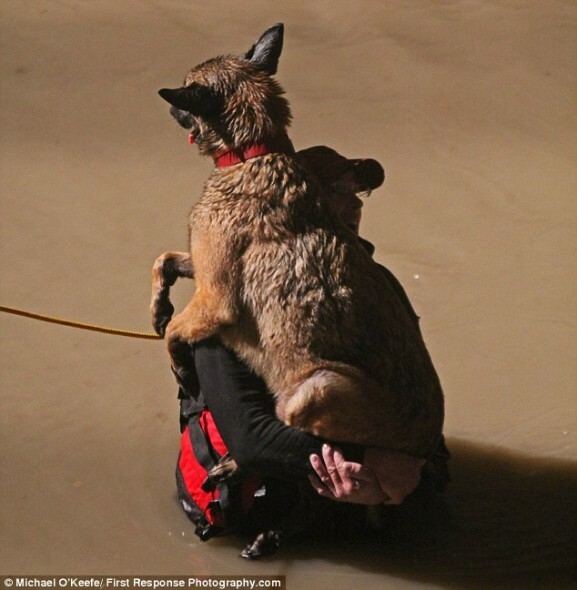 He showers his rescuer in a ton of big wet kisses, that’s how! 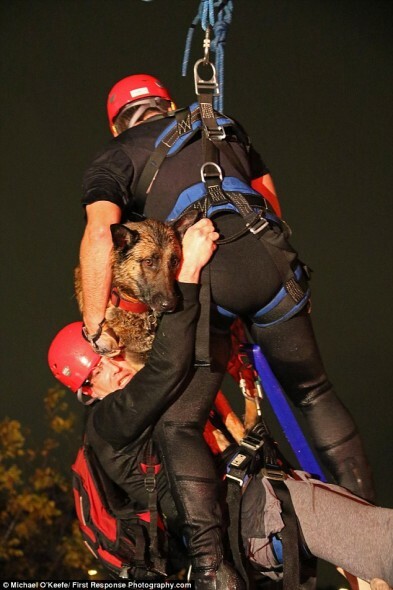 Both the man and his dog are OK, and thankfully no one was hurt during the rescue. Responses to "Dog Showers Rescuer with Kisses as a Thank You"